While climate change presents significant challenges to freight transport, companies prepared for the carbon-constrained economy will enjoy significant opportunities, according to a new report. 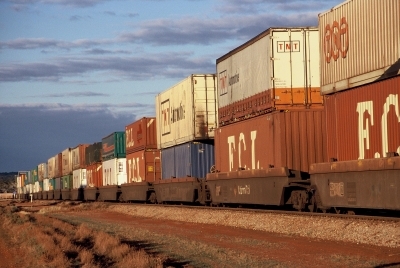 The Total Environment Centre (TEC) has released the final report on the freight industry and global warming, Freight transport and climate change: exposures and opportunities, which details the potential risks faced by the industry, and potential solutions for management upon the introduction of an emissions trading scheme. Author of the report Cameron Eren said: “This report is designed to help transport companies understand what climate change means for them – their exposures to both climate change and climate policy, what they can do to manage these exposures, and how they stand to gain from efforts to combat climate change. According to the report, greenhouse gas emissions from trucks, light commercial vehicles, rail, coastal shipping and air freight are projected to double from 1990 levels by 2020, with its proportion of national emissions poised to more than triple to 13.5 per cent over the same period. It said while the nationwide initiatives to carbon emissions are likely to place pressure on product supply chains, the provision of low emissions transport services offers individual operators a market advantage over their competitors. “Whilst the sector as a whole may only see challenges in climate change, individual companies enjoy significant opportunities. Forward looking companies that move to manage their exposures and position themselves for growth will stand ready to capture market share from those groups that remain unprepared,” the report said. The full report is available on the TEC website (www.tec.org.au).